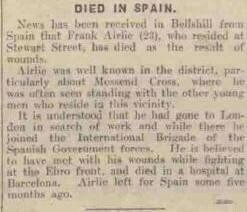 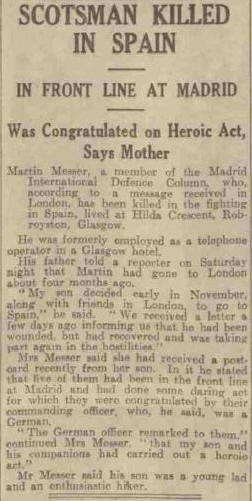 Dundee Courier, Monday December 28th 1936, reports the death of Martin Messer. 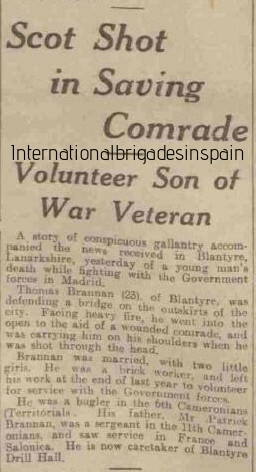 Dundee Evening Telegraph, Friday December 18th 1936: Tommy Patten missing, Bernard Knox wounded. 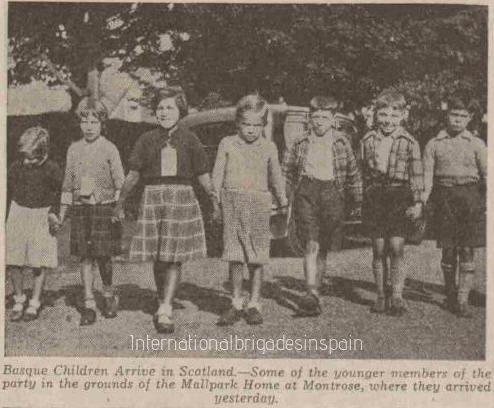 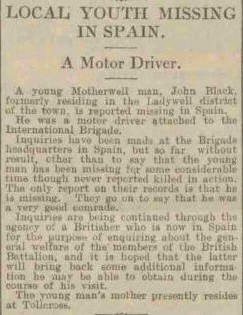 The Motherwell Times, Friday 30/7/1937. 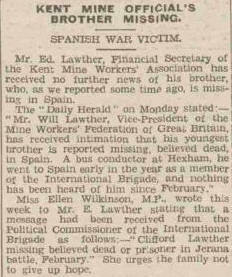 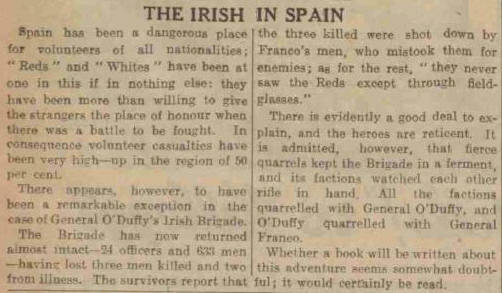 The Dover Express and East Kent News, Friday 18/6/1937. 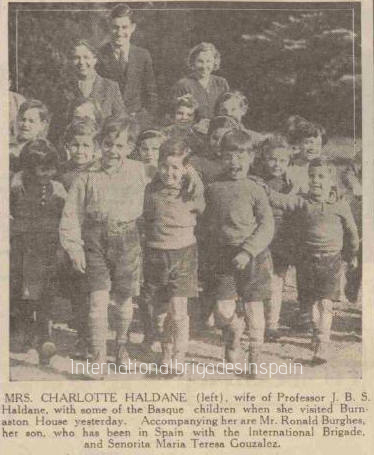 Nottingham Evening Post, Saturday, 24/7/1937. 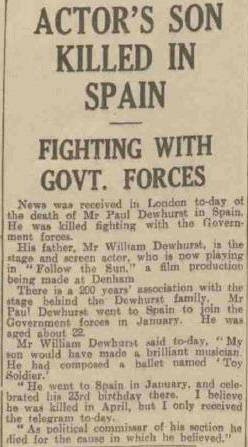 Yorkshire Evening Post, Monday, 12/4/1937. 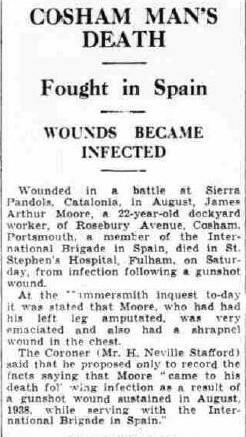 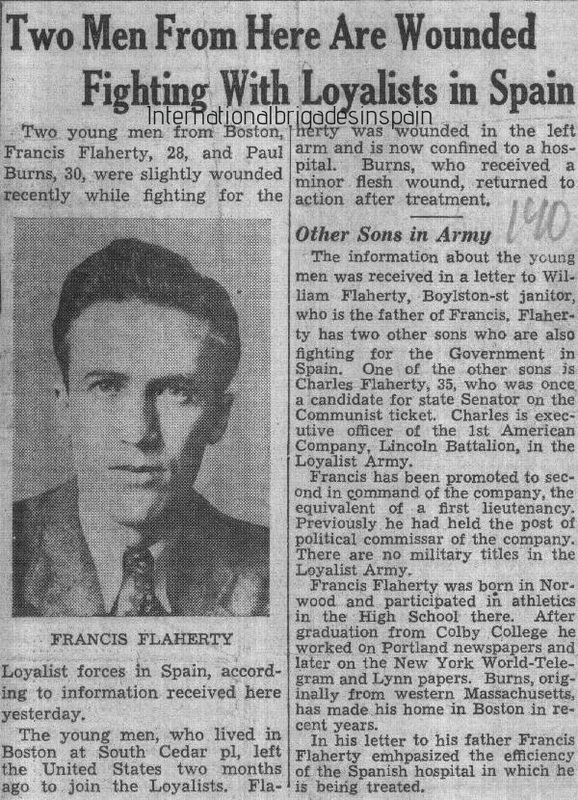 Nottingham Evening Post; Monday 23/8/1937. 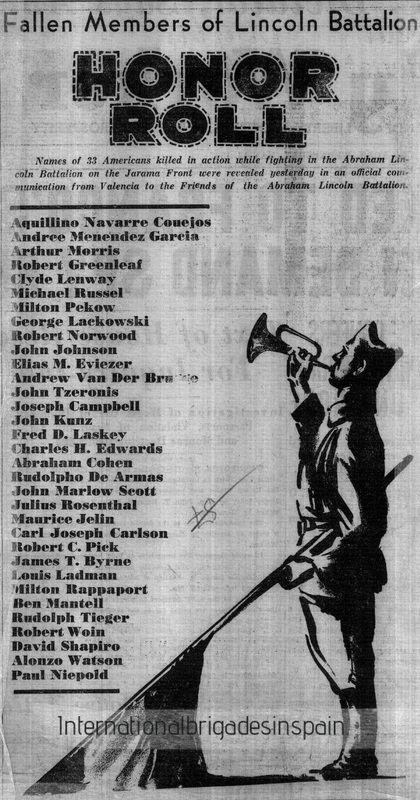 Fred Copeman. 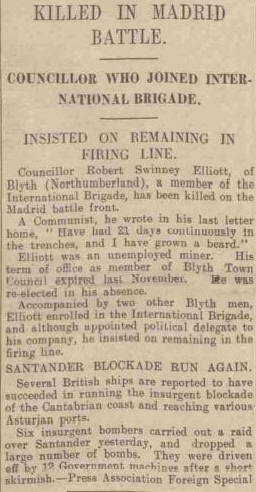 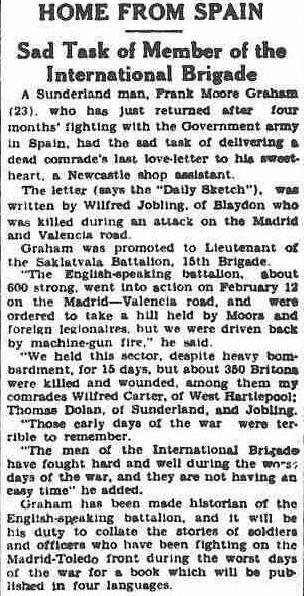 Sunderland Echo, Monday, 29/3/1937. 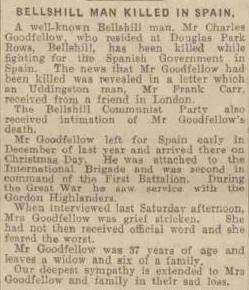 Tommy Dolan killed in action. 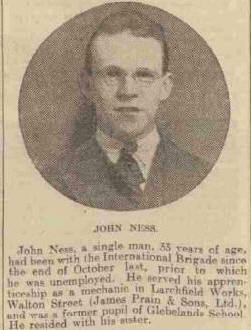 Nottingham Evening Post, Monday 8/11/1937. 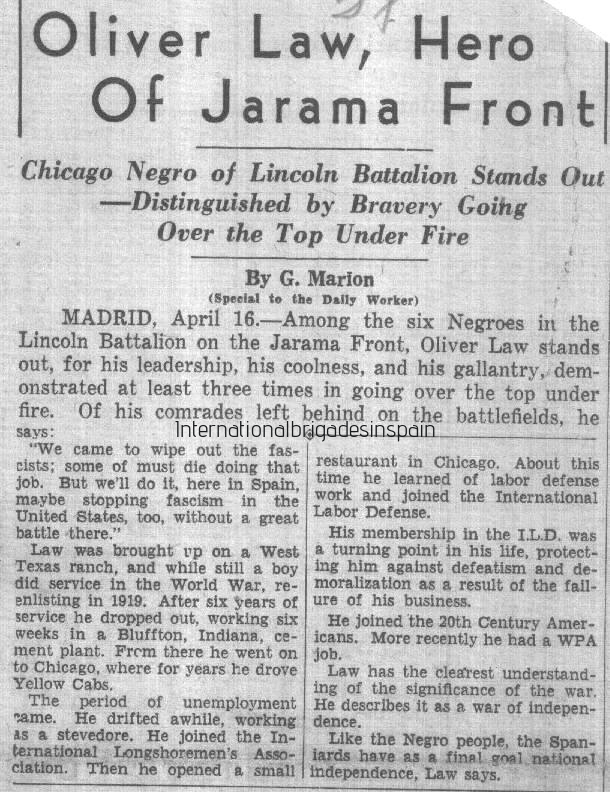 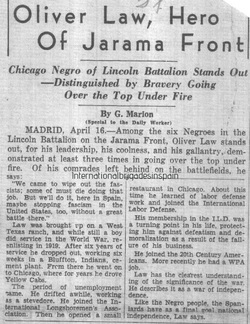 American Daily Worker, date Unknown. 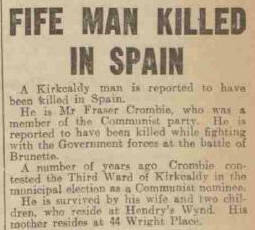 Dundee Courier, Saturday 13/3/1937. 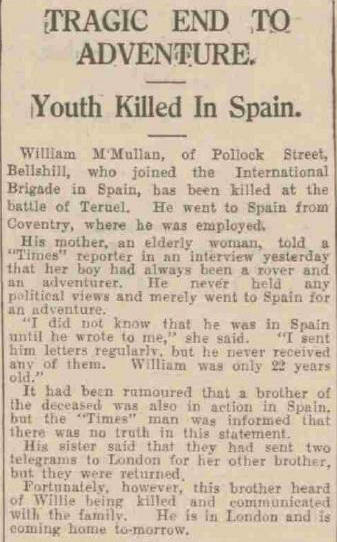 William McGuire Killed. 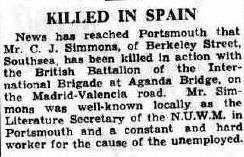 Nottingham Evening Post, Friday 18/6/1937. 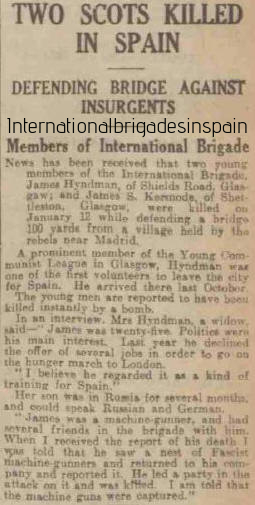 Spanish Exhibition. 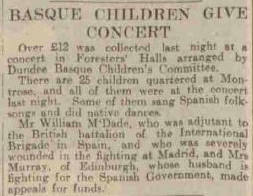 Motherwell Times, Friday 4/6/1937. 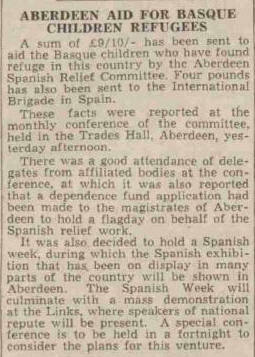 Spanish Aid Committee. 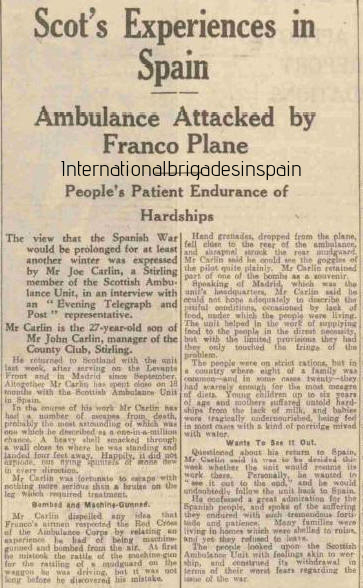 Motherwell Times; Friday 4/6/1937. 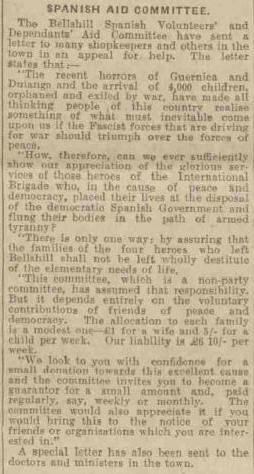 Spanish Aid Committee. 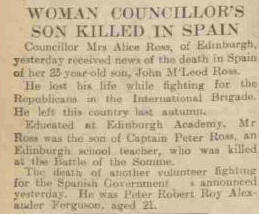 Aberdeen Press and Journal, Saturday 18/9/1937. 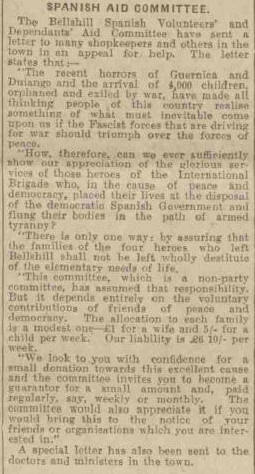 Yorkshire Evening Post: Saturday 10/12/1938.